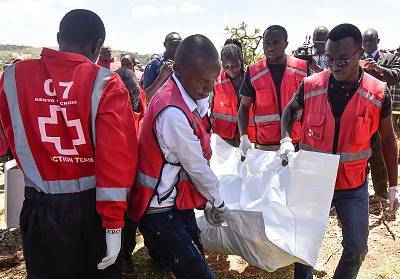 Two U.S citizens were among five people killed in a fatal plane crash in Londiani, Kenya, a State Department spokesman confirmed to NBC News Wednesday. 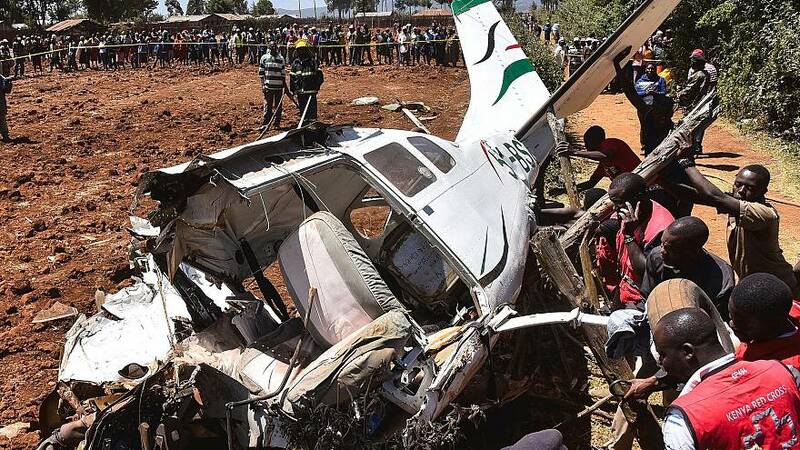 Authorities received a distress signal at about 10:30 a.m. local time, which prompted a search and rescue response, according to Kenyan Civil Aviation Authority. "The plane clipped the tree and the rear wheels came off," said farmworker Joseph Ng'ethe. "It then careened and crashed into another tree in front and into the ground." Witnesses said the plane was making odd sounds as it approached the field. The pilot, a Kenyan, gestured at farmworkers on the ground below to move away before the rear hit a tree, they said.